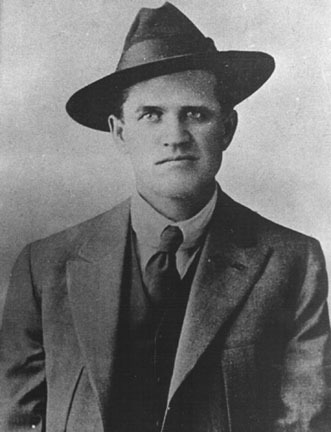 Ninety-eight years ago today at 3.05am in Butte, Montana, six masked men burst into the boarding house room of labour leader Frank Little, pulled him out of his bed, beat him, tied him to the bumper of a car, dragged him to the outskirts of town, beat and tortured him some more before they hanged him from a railroad trestle. When his battered corpse was cut down a few hours later, the police found a note written in red crayon pinned to his underwear: “Others Take Notice. First and Last Warning.” This violent murder of one of the Industrial Workers of the World‘s most dynamic and effective leaders would set in motion a national anti-radical witch hunt, heralding the onset of America’s first Red Scare. In its determination to quash anti-war dissidents, the United States government singled out and targeted the IWW – going so far as to spread rumours that the organisation was subsidised by Germany – and Frank Little’s murder was to have devastating consequences for the bourgeoning radical labour movement. Days after the lynching, Montana authorities declared martial law against anti-war opponents, associates of Little’s were arrested and accused of ‘espionage’, and both the miners’ strike and union were crushed. Beyond Montana, Little’s death was a harbinger of a string of blatantly undemocratic federal laws, specifically the Espionage and Sedition Acts, which outlawed any form of dissent. Moreover, the government used the IWW’s association with anti-war opposition to initiate a subjugating campaign of repression against the labour movement, culminating in the 1920 Palmer Raids, which effectively destroyed the IWW’s momentum and power for the next thirty years. Beyond Wobbly folklore, Frank Little is largely forgotten. Born in Oklahoma to a white father and a Cherokee mother in 1879 – fostering the legend “half white, half Indian, all IWW” – for the first seventeen years of the twentieth century before his brutal murder at the age of thirty-eight, Little’s indefatigable footprints could be found imprinted upon every major American working-class struggle. A man of frontline action, he left behind few writings. But he is a great unsung American hero, and the first martyr of America’s Red Scare. His murderers were never brought to justice. Hopefully our Goddess Hel may have a nice little ‘treat’ for them to enjoy somewhere in the deepest depths of her realm!